Exodus Slack is a lively and round-the-clock active community of users who actively discuss blockchain, trading strategies etc. apart from providing support. If you ever need support and post on the Slack support channel, please ensure that you do not share your private keys or 12-word back-up phrase with anyone, under any situation. For any blockchain asset, your private key or 12-word back-up phrase is what controls the ownership of money stored in the wallet; hence, you do not want to share it with anyone. 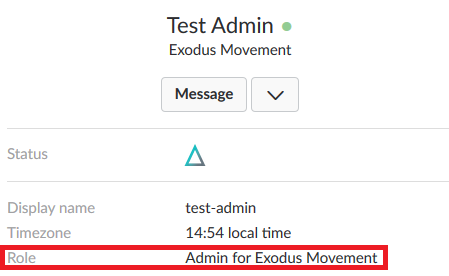 We generally see non-staff users helping out fellow Exodus users with their support requests; if you ever feel you want your query/issue to be resolved by a member of Official Staff for any reason, please state the same explicitly so that the community can tag the available Customer Support Engineer / Exodus Slack Moderator who will assist you privately, if required. It is also important to be able to identify yourself if the member you are interacting with is part of Exodus Staff. Below are the steps which will help you identify if a user on Slack is normal user or part of Exodus Staff. Click on the name of the user whom you are interacting with or want to check his / her position. 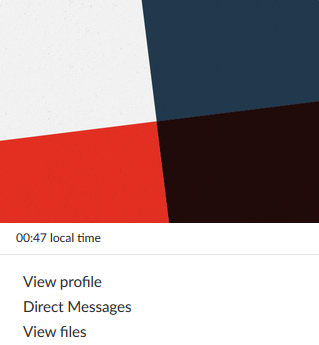 A small window will display on-screen showing you a snapshot of the profile you just clicked. Click on View Profile to open the user’s profile in a sidebar. 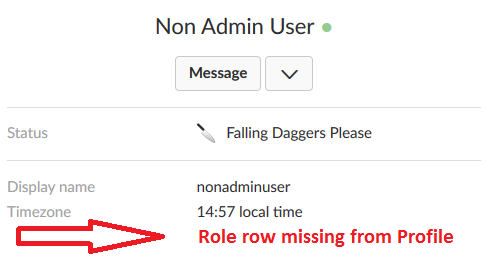 If you see ‘Role’ specified in the profile page in the sidebar, this means the user is part of Exodus Staff. If the ‘Role’ row is missing from the profile page in the sidebar, the user you are interacting with is a regular user who is just trying to help out.